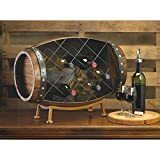 This cool new Tabletop Wine Barrel Bottle Rack is a miniature version of a traditional wine barrel with a rack in the side that holds 7 bottles of your favorite vino. 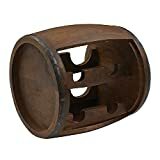 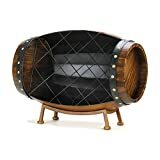 This unique rustic wine rack is crafted from mango wood and has a blacksmith powder coat finish. 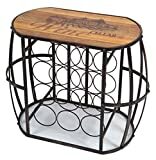 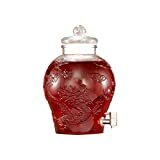 Perfect addition to a wine cellar or kitchen countertop and makes a great gift for wine lovers.